Novuyo Rosa Tshuma and The JRB Contributing Editor Panashe Chigumadzi both have new books out that tackle Zimbabwe and its troubled recent history. They sat down together a few days before the election to talk about recreating and interrogating personal and national identities. Panashe Chigumadzi: Hello, dear Novuyo. Novuyo Rosa Tshuma: Panashe, my sister, it’s so good to be talking to you. Wassup? Panashe Chigumadzi: [laughs] Wassup? I’m laughing because few people know that once upon a time we were in the same economics class at Wits University, both studying things we had no business studying. Here we are now, many years later, having just published these two books—your work of fiction House of Stone, my work of non-fiction These Bones Will Rise Again—both dealing with Zimbabwe and its history at an incredibly difficult time, a few days before the election. Novuyo Rosa Tshuma: It’s both an exciting and stressful time in Zimbabwe! I’m hopeful, while also being skeptical, that we can achieve a transparent election process free from the corruption and violence of especially the past two decades. During my research for House of Stone, I came across testimonies, in newspapers and from civilians in the nineteen-sixties, living mostly in Bulawayo and Harare, about the violence and beatings by the then-nationalist parties, Zapu and Zanu. These beatings were of citizens deemed ‘sellouts’ and ‘unpatriotic’ to each political party. And it was striking to me how similar the violent rhetoric from Zanu-PF we continue to hear in Zimbabwe is to the rhetoric of the nineteen-sixties. It’s all been edited and wiped from our official history, of course. And that lack of continuity has become a real stain on the national spirit, where we keep experiencing the same nature of violence and trauma over and over again, each time feeling it as though for the first time. Reading about the Gukurahundi genocide while researching House of Stone, it’s incredible to me how that period was buried for so long from the official history, and how it—the torture and horror experienced by fellow Zimbabweans—is still a controversial and divisive issue in Zimbabwe today. And so it’s that culture of enforced amnesia that all the characters seem to grapple with in my novel, this pervasive culture that affects how we relate to one another and the nation. How we love one another, remember one another, care for or fail to care for one another. I mean, there were concentration camps in Matabeleland in the nineteen-eighties! When you learn what happened there, you’ll cry. So you find that Emmerson Mnangagwa, and several individuals in his cabinet, are implicated in the nineteen-eighties genocide, and yet continue to deny or refuse to take responsibility. And it’s ordinary people who continue to suffer the personal and collective traumas of this national silence. So, though I’m hopeful—and Zamani in House of Stone is a hopeful character who seeks to take charge of his destiny, much like the nation seeks to do so now— I’m aware that we are entering the election in an extremely unjust and corrupt environment. And as Zamani learns, or doesn’t learn, corruption, violence and decadence, just like all habits tended and cultivated rigorously, can be hard to cleanse from the spirit. Panashe Chigumadzi: It’s difficult because many people are very optimistic, very hopeful. I think I generally tend towards cynicism but I understand that hope is often all that we really have. I’m often asked who I think will win in these upcoming elections, and I’m inclined to say the more correct question to ask is: who will rule in the end? To that my answer, which is something I’ve written in These Bones Will Rise Again, is that you don’t take power to give power. So I’m hard pressed to see an outcome where the old men, ‘vana mudhara’ as we would say, allow this young gun, or rather this ‘mfana’ who has never held a gun, to come in and take the power they consolidated during the coup-not-a-coup. Despite the well-worn cliché that Zimbabwe is a peace-loving nation, as you rightly point out, violence has often been central to our making and remaking, for at least the last one-hundred-and-forty years or so, if we are to count from the colonial conquest by the British in the eighteen-nineties. In the face of colonial repression, taking up arms, picking up our guns, was of course necessary for our liberation, but in the post independence period it seems that we have more than exhausted this gun- and often-phallocentric mode of liberation. We’ve failed to move beyond it. I’m inclined to say it’s because we, as a nation, did not go through a whole period of real demobilisation. In spiritual terms, which is the lens I use in These Bones Will Rise Again, we did not cleanse ourselves and the land of that bloodshed. And so we continue to sing ‘Zimbabwe yakauya neropa’, ‘Zimbabwe came through blood’. That’s perhaps why we have the blood of Ndebele ‘dissidents’, and indeed many others who have ‘failed’ to uphold their end of national unity’, because we have not done what is necessary to cleanse ourselves of our national traumas. Of course, we know all nationalisms are dangerous, and we are living through that danger. All this said, because we have nothing else to go on, I continue to place what little I hope I do have in ordinary people. My sincere hope is that the so-called ‘new Zimbabwe’ does not have to come through blood. Novuyo Rosa Tshuma: To turn to our books, I really love what you said, that it felt like we were both given a history exam and then, you know, I chose to respond through fiction and you chose to respond through non-fiction, and yet we responded with similar concerns. 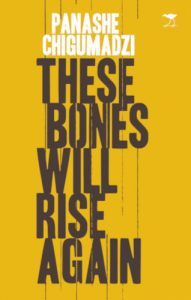 I do feel House of Stone and These Bones Will Rise Again need to be read together. They both look at aspects of Zimbabwe in complementary ways. Panashe Chigumadzi: —and in this search for Fathers we really interrogate Zimbabwean history and liberation history via, in your book, a very Zapu/Zipra [Zimbabwe African People’s Union/Zimbabwe People’s Revolutionary Army] perspective, an Ndebele perspective, whereas in my book it is an interrogation of Mothers of the Nation through a very Zanu/Zanla [Zimbabwe African National Union/Zimbabwe African National Liberation Army], Shona-centred pursuit of Zimbabwean nationalism. So I thought it would be really important for people who read either of these books to read both and see how two writers of the same generation with the same kinds of concerns come to produce the works that they do, and I think in that we learn a lot about our country, or the country that had been known as Rhodesia and is now known as Zimbabwe. Novuyo Rosa Tshuma: —I didn’t even know that book was around! It was such a delight to discover, and I was really taken by that, the rigour of your work, and the way you get a sense of place, it took me back to Zimbabwe; I could suddenly sense the atmosphere and smell home. The portraiture of black women, and the way we get a complex framing of your grandmother, are very revolutionary acts—the complexity that These Bones Will Rise Again brings to the black experience is affirming, especially because, and I’m quoting you here from one of our earlier conversations, we are ‘black in an anti-black world’. And there’s an intimacy and rigour to These Bones Will Rise Again that is a product of you, and it’s important to have someone like you, from our generation, tackling not just fiction—because you are also a fiction writer—but non-fiction as well, a search for history that way. People of our generation are hungry for our histories, to know ourselves from ourselves, and not to be constantly told by others who we are and how we should be, which has been the colonial project. So, congratulations for this, my sister! Panashe Chigumadzi: Wow, there’s so much to say. Thank you, Novuyo. First, I’d like to respond to the idea that most of us are hungry for our history, and I think for me the biggest thing with the book was to interrogate what Zanu–PF and the military meant as they declared the ouster of Mugabe in November’s ‘Operation Restore Legacy’, or, if you want to use the generals voice, ‘Operation Regasi’. 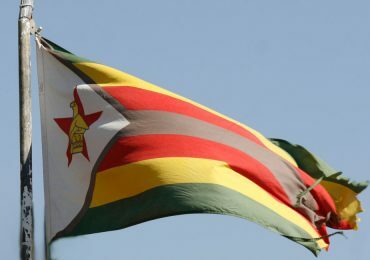 Ultimately is was about the military and Zanu–PF restoring the ‘Regasi’ of the ‘Chimurenga with a capital C’, that is, a history of the liberation struggle that is Zanu-centered. I wanted to introduce and search for ‘chimurenga with a small c’—that is, the intergenerational ethic of self-liberation that belongs to Zimbabweans and that we have used time and again over many centuries. That was incredibly important, because I often find that given the kinds of ways that history, and in particular liberation history, has been used and abused in Zimbabwe, you find that very often if you are in opposition to Zanu-PF you shy away from liberation history, because they have made it theirs, they own liberation history. You see this with Morgan Tsvangirai, for example, how he was told by the military that they will not be ruled by anyone who never went to the war, so that the war belongs to particular people, and what it means then is that if you never held a gun, in particular a Zanla gun, then you don’t have any right to rule in Zimbabwe. Novuyo Rosa Tshuma: What you’ve just said about the ‘chimurenga with a small c’ is revolutionary. I and many in my generation grew up running away from history, it was considered ugly because it was always tied to Zanu-PF, which, growing up in Matabeleland, was tied to violence and a lot of resentment. And so I resonate a lot with that notion of excavating the chimurenga outside of Zanu-PF, which seeks to make itself the Chimurenga, such that anything outside of it must be considered ‘anti-Chimurenga’. Panashe Chigumadzi: Exactly. For us so-called ‘born-frees’ it often feels that you don’t have any right really to speak of liberation, because somehow it only belongs to a particular generation of people. That’s why I’m also interested in the critique of the term ‘born-free’ because, for me, I might be a so-called ‘born-free’, born in 1991, but I take ownership of that ‘small-c chimurenga’, the liberation struggle that belongs to my grandmother, which also belongs to my mother, belongs to me, and will belong to my daughters and granddaughters. I think very often our opposition concedes history and in particular liberation history in order to be so-called ‘forward-looking’ and ‘future-looking’. That’s why within These Bones Will Rise Again the practice and belief in spirit possession becomes a very important political philosophy, centred around those in the past communicating with those in the present about the future to come. So my use of spirit possession is an active critique of the idea of being ‘born-free’, because you cannot be ‘born free’ of the past, we are constantly living with all these different states of time. Panshe Chigumadzi: —And yet Mugabe is a very, very minor character in your book. And similarly, in my book, I chose to respond to this particular moment through so-called little people. I love the fact that you were able to really unearth so much about us through an otherwise very ordinary person, and I wonder, how much do you think Zamani is reflective of us? Is our repulsion to Zamani a repulsion of our own reflection? Novuyo Rosa Tshuma: That’s such an interesting question: how much does Zamani reflect us? For me, and I’m quoting here from your book, instead of looking for answers from the Big Men, ‘the answers I need are answers to politics about how we live, hope, dream, cry, laugh, pray and believe’. That’s really key. I got the shivers reading that because that is at the centre of House of Stone, and it’s in These Bones Will Rise Again. And so, we can think of Zamani in that way, he’s a very inquisitive person, very curious about other people’s lives and the past and history, and that is a way of trying to claim a history outside the monolithic history. Panashe Chigumadzi: —yes, it is a Zimbabwean way of being. Novuyo Rosa Tshuma: Culture informs cultures, we were wheeling and dealing. Look, it was a way of life, we had to survive, and we became complicit in the corruption. In Harare and Bulawayo, the mapostoris on the street, changing money, buying foodstuffs and cheating your neighbour out of the fair price, I mean, we all did that, we had to survive, right? So for me that’s us imbibing that bigger culture of corruption, but it can also be seen as a celebration of our creativity, we are an active people, we are not plodding through life with our heads bowed down perpetually. This is not to diminish what has happened to us, but to pay tribute to the human spirit, and I think Zamani embodies that. I love what you said, that he embodies the best and worst of Zimbabwe. What’s also important is how Zamani is looking for rebirth, something spiritual, becoming another son, a new person. This act of self-invention, which mirrors the ethos of our liberation struggle, is never simple, it can be ambiguous, it can be amoral, it can even be considered immoral. It can even, in its execution, be repulsive. 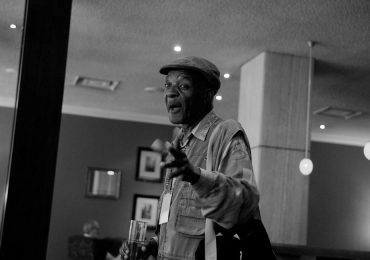 Panashe Chigumadzi: All these ideas come through in the book, which you’d been writing for around five to six years, in fact since 2011. It is a hard-working manuscript. Very often we seek to make things appear completely effortless, that is meant to be the mark of a great book or great art, but I think your book shows the incredible amount of work that you did—there is no way you could have just woken up and coughed this out. It’s like being privy to an elaborate performance where not once do you take for granted that you could have done it yourself, because the level of mastery is evident. We can of course critique the idea of the ‘great novel’—but this belongs I think in the pantheon and canon of Zimbabwe’s great books. I do believe that this is one of the books we’ve been waiting for, for a very long time, and particularly a book that takes on a sweep of history, right from the eighteen-nineties to the mid-two-thousands, while being such a beautiful story, it is just something incredible. I’m interested to know—House of Stone could have been written as a doctoral thesis and that could have been the limit, but how were you able to write about all of your historical and political concerns while centering your work first and foremost as a literary writer? Novuyo Rosa Tshuma: Wow, it means a lot to hear that, it’s really awesome to have someone recognise that sort of labour. When I started the book in 2011, I was just sort of curious about our history, and I was doing a lot of reading, I was at Wits University at the time. It came out of missing home, but realising that the home I missed was not the home that existed at home, so when I say I’m missing home, what home am I missing? So that was the question at the back of my mind. That really took off when I got to the Iowa Writers’ Workshop; this work really is a product of its circumstance. I got into a space at Iowa where for the next three years I had nothing but writing time. And then I discovered that the University of Iowa library contains our literature, and it astounded me. I was happy but at the same time anguished—how can it be that these books, including texts in Ndebele and Shona, aren’t available at home but are available here? Anyway, one of the things I was trying to figure out was, how do you write history in fiction? I read a lot of history books, and also a lot of fiction, Yvonne Vera, Dambudzo Marechera, Charles Mungoshi, Chenjerai Hove, Barbara Makhalisa, Stanley Nyamfukudza, who I discovered at the University of Iowa library, along with Alex Kanengoni. So I immersed myself in these novels, along with novels from other places—The Tin Drum by Günter Grass, That Awful Mess on the Via Merulana by Carlo Emilio Gadda, Alice Walker’s The Color Purple. I did a lot of reading and a lot of experimenting to figure out how the content informed the form the work was taking and vice versa, how to bend form and language to the world and ideas the novel was taking on; up to the final published version I did about seventeen drafts. There’s also some fascinating information online, for example, Farmer Thornton’s blog in House of Stone called Rhodesians Never Die—and you mention the song ‘Rhodesians Never Die’ in your book, it was Rhodesia’s patriotic song during the liberation war—came out of eavesdropping in these Rhodesian groups online and on Facebook. There’s also an illuminating book on the history of the white farmers of Zimbabwe by Rory Pilossof called The Unbearable Whiteness of Being. And then, of course, there was Gukurahundi, which is very difficult. I asked my family, asked my relatives, my mother, who was quite, you know, she surprised me, to be honest, when I asked her. She became emotional, and this fueled my determination to write. Panashe Chigumadzi: To write the book in the way in which you did, delving into subjects as heavy as Gukurahundi, you clearly had to dig deep. What kind of internal work did you have to do? Novuyo Rosa Tshuma: It took a lot of strength to take this project seriously, trying to look at an Ndebele-centric history, a huge sweep of Zimbabwe’s history, a look at the psyche, and at the spirit. And this where Zamani’s voice became important, especially as a voice that’s irreverent—because we are so reverent towards our politicians, our history, a lot of stuff is sacred—and Zamani is secular, he’s rude, he’s sassy, he makes light of all sorts of things. Finding the strength not to look away is difficult, because I feel it’s also our culture to look away, it’s taboo in our cultures to stare at some of these periods in our history. Taking the whole project seriously—but not too seriously as well—was necessary in order for the work to keep going. I was quite aware that this was an ambitious undertaking, but I also had to trick myself into writing by not taking it too seriously, because being overly serious in fiction can sometimes cripple you. Panashe Chigumadzi: Can you tell me more about speaking to your family? Novuyo Rosa Tshuma: Oh, Panashe, things got pretty uncomfortable, you know? It was easier for my mother, for instance, to talk about where she was during the liberation war. She was in her teens when the war broke out, and she and my aunt were in secondary school near the Plumtree–Bulawayo border at the time, and they fled to Botswana, where they became refugees at Dukwe Camp. She became quite animated sharing the details of the camp, the people she met, and the whole thing came alive and was vivid. But when it came to Gukurahundi, she became very upset, and she snapped at me when I tried to push her. And it felt to me like a wound that had been buried and which I had now worried, and this is probably because of the way remembering and acknowledging the genocide has been, for the past thirty years in Zimbabwe, treated like a criminal offence. But then she started opening up to me recently, after she listened to my interview on BBC Woman’s Hour. Panashe Chigumadzi: What was it about that interview that helped her open up to you? Novuyo Rosa Tshuma: I think perhaps it was hearing me speaking freely, on a public platform, about my novel and the genocide, among other difficult aspects of our history. When I was writing the novel my mother was worried about the whole project—the notion of looking at our past, which seems to be associated with ‘rebelling’ against Zanu’s monolithic narrative, the narrative that Zanu has in turn tried to marry to the idea of being ‘Zimbabwean’ and ‘patriotic’, thus to question this Zanu version of Zimbabwe is considered ‘anti-patriotic’ and thus ‘anti-Zimbabwean’. But I think seeing me speak, and seeing how it’s okay to do this (albeit on a prominent platform like the BBC in London, rather than, say, in a secluded rural place somewhere in Zimbabwe) made my mum more eager to share with me some of what she remembers. She herself says that speaking about the genocide has been dangerous in Zimbabwe—right after the genocide, many of those who tried to bring it up in places like Lupane would disappear. I remember in 2010, the visual artist Owen Maseko was arrested for staging an exhibition of the genocide titled ‘Sibathontisele’ [‘Let’s Drip on Them’] at the National Gallery of Zimbabwe in Bulawayo. He was charged with various crimes, from attempting to ‘incite unrest’ to ‘undermining the Office of the President’ and, scariest of all, treason—charges brought about from speaking about the genocide that the state refuses to drop to this day. So, people have associated expressing themselves and acknowledging their lives and experiences with a real sense of personal danger—the kind of psychological trauma that plagues both Abednego and Mama Agnes, and Zamani himself, in House of Stone. Panashe Chigumadzi: I have to say Zamani’s voice is compelling. I can imagine how you, as you say, needed to trick yourself; through him you delve into a lot of difficult terrain, forcing us to go along with you, even when we don’t want to. When you set out to write House of Stone, what did you set out to do? Novuyo Rosa Tshuma: I was grappling with the idea of Zimbabwe. What is Zimbabwe? I was fascinated by lesser-known histories, or histories I didn’t know, like the Rhodesian African Rifles—what does it mean to have had a black army fighting for Rhodesia? And Abednego in the novel, whose Baba was a Lieutenant in the Rhodesian African Rifles and has a complicated relationship with that aspect of his identity, is a man who constantly runs away from history. He didn’t actively fight in the liberation struggle, and yet in postcolonial Zimbabwe he claims that as his history, he claims liberation-hero status, because it’s so consuming. You spoke about this earlier, about the Zanu-enforced idea in Zimbabwe that if you didn’t hold a gun during the war then you are not a ‘true Zimbabwean’. And you speak about many of these lesser-known or erased histories in These Bones Will Rise Again, the urban movements and the women’s movements, the trade unions, these are all parts of our society that contributed to the liberation struggle and yet have effectively been erased from that history. 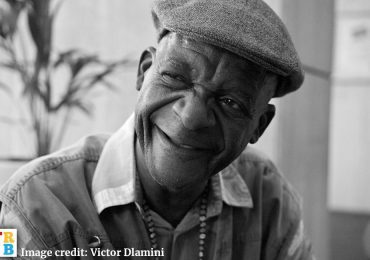 Having different voices in conversation in the book, whether arguing or sharing, helped to bring about a multi-history chorus, different voices exploring what Zimbabwe was or is for them. I must say, These Bones Will Rise Again, Panashe, is an immense achievement. The first thing I noticed while reading it is that this is a work that’s been with the author for a long, long time. It’s brilliant, not just in its care but also in its lens. It’s not just the knowledge it imparts, but it’s also its meditative stance, the way it thinks through things. It brings this incisive and refreshing eye to our histories and ourselves. It’s like seeing yourself anew and being privy to certain fascinating aspects of yourself you’ve never got the chance to consider, much like how your grandmother in your book has these moments of self-revelation through the camera lens, right? She gets access to hidden aspects of herself from the visual power of the photograph. That labour is evident in the book’s dynamic lens, it’s a work that speaks for itself, and reading it I got the sense that you have been thinking about these matters about our history for a long time, and the coup has been the occasion to put these thoughts together. That’s something that needs to be appreciated. I remember reading and thinking, ‘Oh my gosh, this is great, I wish I had written this.’ As a writer and a thinker I read this with awe; it’s rigorous, it’s philosophy, it’s memoir, it’s personal narrative, it’s intellectual, it’s history, it blends all these various elements. Panashe Chigumadzi: That is so kind of you—I remember reading your book and I was also thinking, oh my gosh, I wish I had written that! So it really is a compliment coming from you. As you say, the meditative stance, I think, is a result of that displacement of having been born in Zimbabwe and raised in South Africa, and the various journeys I’ve had grappling with both my ‘Zimbabwean-ness’ and my ‘South African-ness’, and eventually coming to a place where I first and foremost define myself as African, and if I have to be more specific, Southern African, because I have come to understand how these identities are so intertwined, you know? That’s part of what I grappled with—interrogating the kind of essentialisms about what it means to be South African or Zimbabwean, Shona or Ndebele, while undoing the damage done by colonial borders. So after exploring much of the political history of Zimbabwe and that of the broader region of Southern Africa—for example, the fact that there was a 1922 referendum on whether the early Rhodesian state should join the Union of South Africa, as Winston Churchill and Jan Smuts wanted, or whether they should become a self-governing colony; or that many of the early political movements of postcolonial conquest were very much informed by what was going on in South African politics at the time; or, at a more personal level, finding out about my grandmother’s Nguni roots—I was left in the end feeling much more ‘free’ about who I am and about my place in Southern Africa and the broader world. Novuyo Rosa Tshuma: Non-fiction is a territory that most black authors, or African authors, are not very prevalent in. It’s difficult territory because it’s intimidating, it’s challenging. So it’s inspirational to see this work from a black, African, fierce intellectual, who has taken on this big project in this challenging field and pulled it off—I wish I had had the strength to do this. How did it come about? How did you move from fiction with Sweet Medicine into non-fiction with the long-form essays that make up These Bones Will Rise Again? Panashe Chigumadzi: After having written Sweet Medicine I had decided that my next novel would be about Mbuya Nehanda. Her figure as a feminine spirit of anti-colonial resistance is something I really do identify with, as many Zimbabweans do. So I had wanted to write this novel on Mbuya Nehanda, and I knew I had to do all this research really to interrogate what Yvonne Vera calls ‘the frozen image’, which is an image that, after Mugabe’s ever youthful presidential portrait, is probably the most famous image in Zimbabwe. It is the iconic, national picture of the spirit mediums Mbuya Nehanda and Sekuru Kaguvi as they face execution by the colonial authorities for their role in what is known as the First Chimurenga of 1896–1897, one of the first major anti-colonial uprisings. I wanted to interrogate that moment, thinking of it as what Saidiya Hartman calls a ‘scene of subjection’—a scene of violence and trauma that we keep returning to over and over again, so that it becomes formative in our national identity, almost equal to the statement ‘Zimbabwe was born’. At that time I was also a student at Wits University, and it was Rhodes Must Fall and then the broader Fallist movement, we were talking about decolonisation, about African epistemology, decolonising thought, decolonising knowledge. I was also at the Wits African Literature Department, which was also an important place for me to be in, with wonderful minds such as my supervisor Dr Danai Mupotsa, as well as Professor Bhekizizwe Peterson and Professor Pumla Dineo Gqola and fellow students like Thato Magano and Ayabulela Mhlahlo. In that time, I was questioning: ‘What is history?’, and for me Yvonne Vera—who is referenced throughout These Bones Will, not just in the bibliography but in the epigraph you mentioned earlier, ‘History is created in the mouth’—was important. 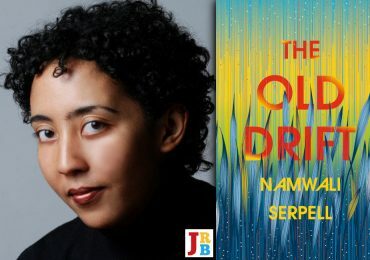 Throughout her corpus of writing, right from Nehanda up until The Stone Virgins, she is interrogating Zimbabwean history just before the colonial period, and she writes right up to post-independence history as well. The way in which she interrogates history through what we would think of as a kind of spiritual history, particularly in her book Nehanda, was so important for me in decolonising what my understanding of history was in the first place, and it is what allowed me and what freed me by the time I wrote These Bones Will Rise Again, which was a commission from Ellah Wakatama Allfrey. Novuyo Rosa Tshuma: Tell me about that meeting with Ellah. Panashe Chigumadzi: —that’s something I hear a lot. I’m so envious of, particularly when I speak to a lot of Ndebele people, that pride in their history, in saying, ‘my grandfather was part of Mzilikazi’s regiment, we come from this and this place at such and such time’. All of those things are really important. So, I think, yes, you are very right that it was something that I have been thinking through, and that is the work of the last couple of years. Novuyo Rosa Tshuma: It’s a way of thinking, it’s a perspective, it’s a way of bringing insight. One of the things I enjoyed was when you speak about how your grandfather was part of Mzilikazi’s regiment, it’s so lovely to hear, my heart soared hearing this, because the history of the migration of Mzilikazi from South Africa to what is now known as Matabeleland is a part of our history that has been muted in the current ‘national history’. Especially if you consider how, as you point out in your book and as I happen to also feature in my novel, what we recognise nationally as the First Chimurenga, led by Mbuya Nehanda, is also known in Ndebele history as The War of the Red Axe or The Battle of Galade, which was led by Queen Lozikeyi Dlodlo. These are the exact same events, narrated from different perspectives and recognising different figures. Thus—’history is created in the mouth’. And there is a need for there to be histories, rather than a history. In your book you interrogate nuance and what it means to be Shona, how the nuance in identity is not allowed for in the discussions that the Big Men have. How did you come across that? Please tell me more, because I went back to that part several times. The idea of Shona as a nuanced identity, and how our identities seep into one another, is a very key thing to acknowledge, how our identities in Zimbabwe bleed into one another. We also need to remove the false, stark differences that were created by colonialism and the way colonisers described the people when they found them. Panashe Chigumadzi: That’s a really important question. When I grew up, my friends were interesting in that, for example, one friend’s parent was Zulu, the other parent Sotho, you know, those kind of things, and for me it was the case that in my family we are just Shona, and the biggest ‘difference’ we have is dialect. And yet I knew that there was a lot of heterogeneity among Shona people as well. For example, it was no small thing that my mother was Manyika while my father is Zezuru. When my mother was about to get married, she and her family initially offended my paternal grandmother because they didn’t follow their traditions. Aside from that the difference in dialect sometimes made quite material differences in how people said things or what it meant, so I knew there was far more than just this homogenous Shona-ness. People talk about themselves as Manyika or Zezuru or Karanga or Korekore or Ndau or what have you. You will notice how people talk about how the Zezurus are the people who are ruling, and the Manyikas are the ones who do business, those kinds of things, so there is also tension within Shona identity. But when you really start to ask, what does the word ‘Shona’ actually mean? What is ‘Shona’? People have various meanings they attribute to the word but what is clear is that it was an external imposition, a product of the complex interaction happening from the early- to late-nineteenth century. When you pay attention to history, to language, you will see how true Vera’s words, ‘history is created in the mouth’ are. In These Bones, when I interrogate where my paternal grandmother is from, I’m surprised that is she of the Dhliwayo clan, I’m perplexed by this ‘L’ that is not supposed to be in Shona. That is the first hint that I get that there’s a lineage that’s being spoken, that begins in the mouth, and you find out that that ‘L’ ‘comes from’ what is now South Africa, from the Nguni clans who migrated into what is now the Zimbabwean plateau in the nineteenth century, some incorporating existing groups into their clans, some being incorporated into larger clans. Again, a lot of these essentialisms were originally created by the colonial authorities who exaggerated and simplified differences, so that we have damaging historical narratives such as ‘the brutal Ndebele who terrorised these victim Shonas’. In critiquing this version of the enmity between Shona and Ndebele, Professor Sabelo Ndlovu-Gatsheni talks about the nuance around what it means to do state building, it’s not only through force, you also need consent, particularly around religion. It’s really fascinating what the emergent Ndebele state did to incorporate the existing traditions and the existing religions in that region, because they understood that it’s not just about so-called brute power. Novuyo Rosa Tshuma: Reading that was so fascinating. Pathisa Nyathi also speaks about some of these insights in his book Lozikeyi Dlodlo: Queen of the Ndebele. Panashe Chigumadzi: —Ndebeleness, yes, that is also something that we need to interrogate. Some of these things are not serving us. So that was important. I had questions over time, and the history helped solidify my understanding of what it means now to be so-called Shona, and all of these things. 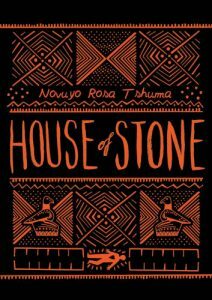 Novuyo Rosa Tshuma: I love the idea of questioning Shonaness, Zimbabwean-ness, Ndebeleness, because in House of Stone there’s a secessionist movement called the Mthwakazi Movement, and it’s a movement that has grown out of a real injustice, the Gukurahundi, but it also brings up those questions about the idea of a new nation, a Ndebele-centric nation, and what this means and how it is any different from a Shona-centric or Rhodesia-centric or Zanu-centric nation. It raises problems about the false idea of purity. I was really interested in that, in how using identity as a weapon can become a very exclusionary enterprise, it can destroy the very thing it aims to liberate. Panashe Chigumadzi: That’s very important. When you start understanding that with a lot of these essentialisms, even among the Ndebele people, very few can claim that so-called purity in the first place. How many people can claim to be from the founding Khumalo clan? Many of the people who are now considered to be Ndebele share the same blood with many people who are now considered to be Shona. So debunking these essentialisms around these identities was very important. And in large part because of this I think it’s important for These Bones Will Rise Again and House of Stone to be read together. Panashe Chigumadzi, the founding editor of Vanguard Magazine in South Africa and The JRB Contributing Editor, is the author of a novel, Sweet Medicine (2015), and a forthcoming collection of essays, Beautiful Hair for a Landless People. Chigumadzi is in South Africa to launch her new book in August. See her tour schedule here. Novuyo Rosa Tshuma grew up in Zimbabwe, and has lived in South Africa and the USA. She is a graduate of the Iowa Writers’ Workshop. 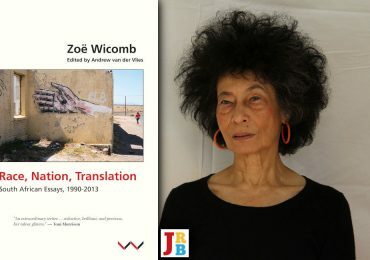 Her short fiction has been featured in numerous anthologies, and she was awarded the 2014 Herman Charles Bosman Prize for her novella Shadows. House of Stone is her debut novel.